It is an interesting contradiction that Tuscany, the region that in the collective imaginary more represent the traditional Italian wine, is the first region guilty of selling its soul to the standardisation of taste, with the indiscriminate use of “international” grapes to create wines to appeal the “international” palate. Few high quality peaks, more often mundane wines lacking in character, always overpriced. Banning the use in the Chianti blend of white grapes Trebbiano and Malvasia – traditionally used to soften the sometimes edgy Sangiovese – in favor of Merlot, Syrah and Co. was the last act of the regional globalization. So now, the Rosso di Monteraponi, one of most truly traditional Chiantis cannot be called Chianti anymore. Made on the hills of Radda in Chianti by the young Michele Braganti, this wine is a blend of organically grown Sangiovese, Canaiolo and Colorino (the Chianti Triad of Grapes…) with a dash of Trebbiano and Malvasia. It’s full of red berried fruit, with hints of minerals, and with an enticing floral character due to the use of the white grapes. The palate is jucy, moderately tannic, fresh and the degree of “yumminness” is dagerously high. Use it copiously with your steak, with roast beef, grilled lamb. It will work also with pasta dishes with tomato and meat sauce, or with semi hard cheeses and charcuterie. And considering the fast approaching festive season, it would a good option for your turkey or your glazed ham. 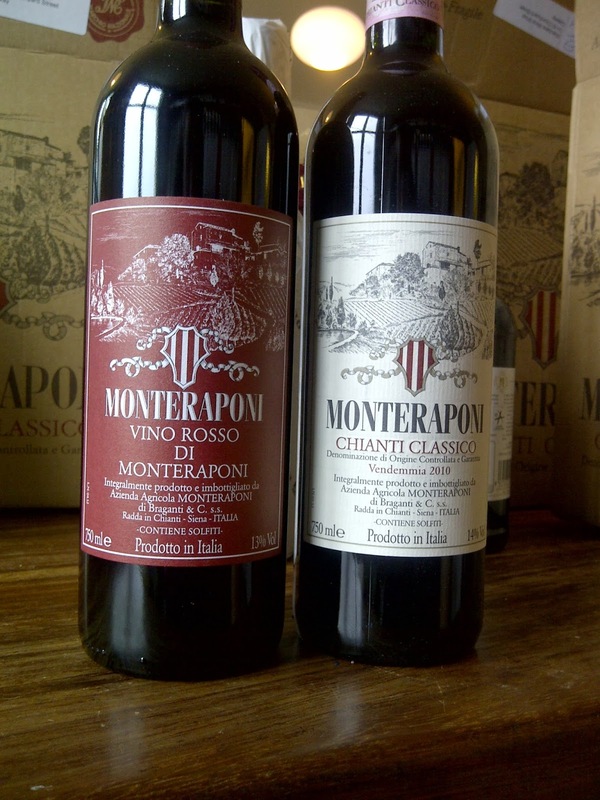 In fact, the Rosso di Monteraponi is an incredibly versatile wine. Just a word of warning. It can be addictive.